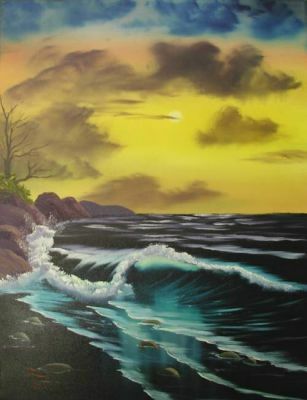 Title: By-The-Sea ...............This painting is found in the Bob Ross Joy of Painting, Series #21, Lesson #08. I will be happy to answer any questions you may have regarding the Bob Ross classes. Please call me if I can be of assistance. My Grover Beach, California telephone number is (805) 473-4631.